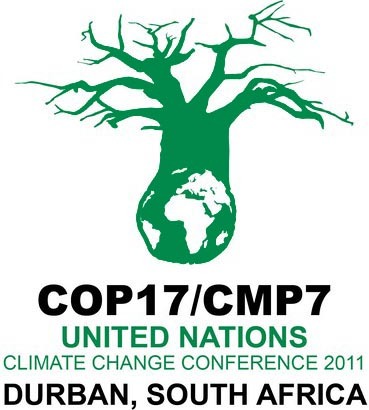 A legally binding cap on greenhouse gas emissions to replace the 1997 Kyoto Protocol that expires in 2012, and approval of a Green Climate Fund, a global tax scheme on carbon emitted by international aviation and shipping, are the two major objectives at the United Nations Climate Change meeting in Durban, South Africa. Both are facades for the UN’s true agenda, which is to stir up jealousy among nations so that they demand a redistribution of wealth by empowering the UN with the authority to tax, thus relieving itself of dependence upon dues paid by once-sovereign nations. The UN is a forum for the rest of the world to express and act on their resentment of America’s social, environmental and economic successes produced by freedoms and free markets. Jealousy blinds the bureaucrats from learning from the American model that would enable them to enjoy a higher standard of living. Their jealously demands that the U.S. lower her standard of living. Stern responded that the transportation sector is responsible for one-third of GHG emissions and that Congress has already passed legislation to require automakers to produce cars with fuel efficiency standards of 35 miles per gallon to be increased to more than 50 miles per gallon by 2020. Furthermore, Stern said that the Recovery Act gave $90 billion to produce renewable energy (Solyndra scandal), smart grids, electric car batteries, etc., adding that legislation to cap and tax GHGs by 2020 is still possible. Stern said the U.S. was an original proponent of the Green Climate Fund and that the COP, Conference of the Parties, would approve or disapprove a design by the Transitional Committee in Durban, adding that it would need to be under the guidance of, rather than the authority of, the COP. The global carbon tax is likely to add ten percent to fuel costs, which have already increased 300% in the last five years. The International Maritime Organization, the UN's specialized agency responsible for improving maritime safety and preventing pollution from ships, would become the tax assessor/collector. An alternative idea is to develop regional schemes, since developing nations would be exempted from the tax. A cost analysis has already been done by the UN High Level Advisory Group on Climate Finance, the World Bank and the International Monetary Fund for a G-20 report on mobilizing climate finance. If Stern is correct that the conditions are not right for a new legally binding GHG emissions limit treaty, then our concerns this final week must center on the GCF. I have learned, however, by attending these meetings since 1995 to not trust anyone’s rhetoric. Until the deal is done, the outcome is absolutely unpredictable. I plan to keep you posted.